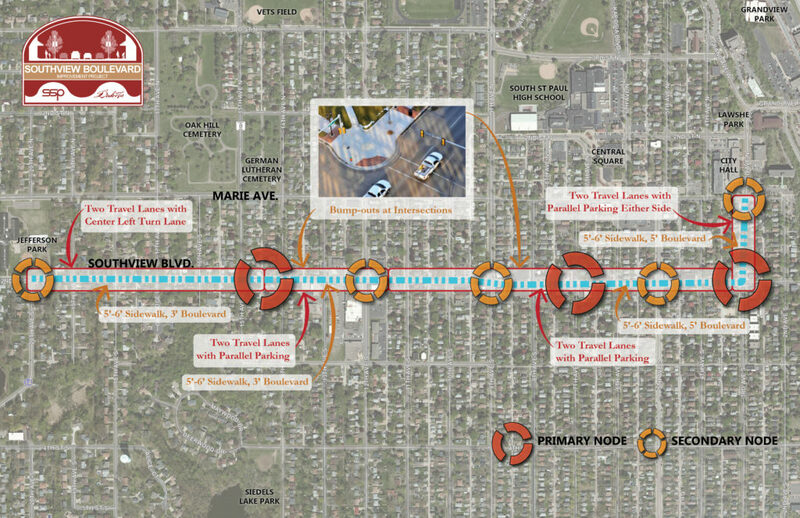 Construction is currently planned to occur in 2018 and includes Southview Blvd between 3rd Avenue and 20th Avenue, and 3rd Avenue between Southview Blvd and Marie Avenue. The timing of the Southview Blvd Project works well with the City’s recently completed planning efforts for this area. The City and County will build off the Southview Hill Plan’s public input and land use vision to develop a roadway improvement project aimed to elevate the street’s character and functionality. This project will be the first step in achieving the vision of the Southview Hill Plan. 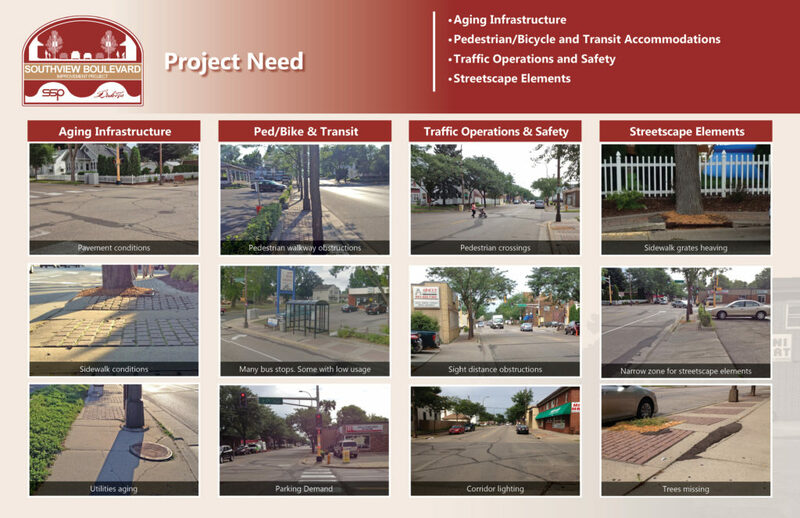 The roadway and streetscape concept video was developed in the preliminary design phase to aid stakeholders in envisioning the possible improvements to the Southview Blvd corridor. Current project details and timeline do not necessarily match those represented in the video. Sign up to join our mailing list and receive project updates!